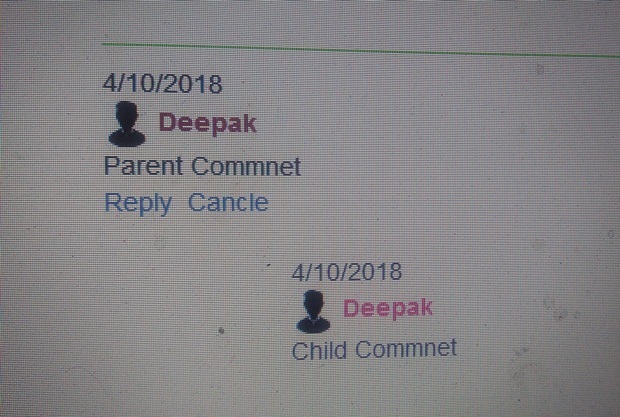 In a simple comment session like Facebook comments, you read a comment and reply with child comments to the parent comment. To Create the comment box, we need to add some tables and stored procedures. Create a stored procedure for comments session so as to check credentials of the User. Insert reply comment for ChildComment. 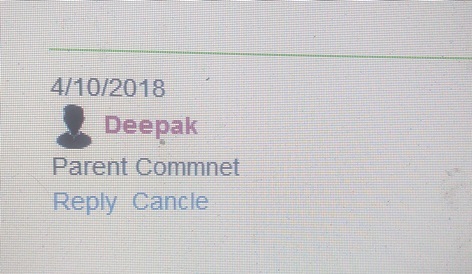 Get Data Comment from database. 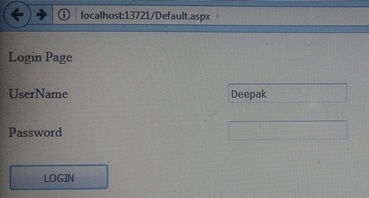 Create a webform for UserLogin. 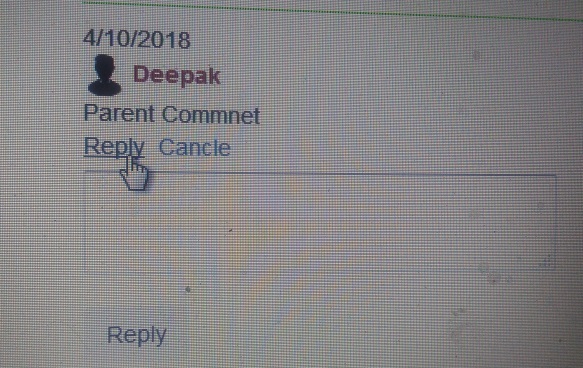 Create a comment session webform. Reply to a parent comment with a child comment. Thank you for you reading this blog.